← mr and mrs george jetson. The florist we chose (Alexandra Wanless) runs her business from home, which meant her prices were the lowest of the quotes we received from various vendors. But she also had a great grasp of what I was after, and I do like supporting more personal, smaller businesses. We decided on 6 bouquets of the same size (1 for me, 5 for my bridesmaids) as I didn’t feel mine needed bigger than theirs – I briefly contemplated not having one for me; and I’m not sure if I need a ‘throwaway posy’ as I don’t want to do the bouquet toss. I was open to Alex’s suggestions (as I mentioned previously I’m not a flower person, I didn’t know flower names etc!). My main criteria is that they’re not overly structured or perfect posies. I want them more relaxed, looser. 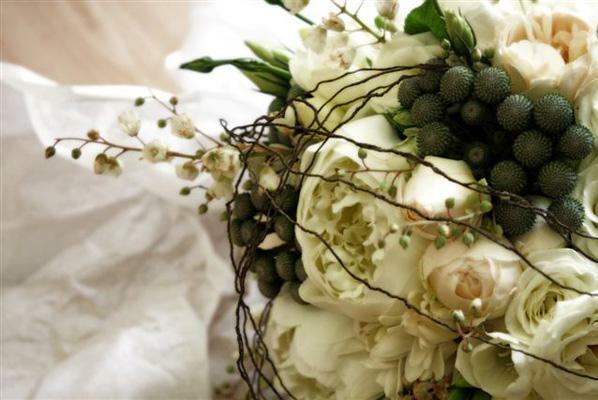 I love bouquets that have a lot of white and greenery, with interesting additions like herbs, nuts and natives. 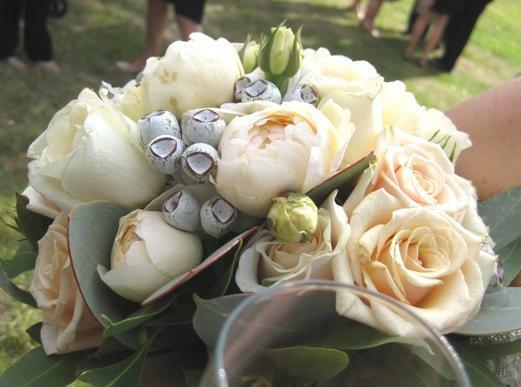 We chose “natural stem posies of white large-headed roses, tetra nuts, greyish gum, rosemary and ribbon grass“. I’m not sure if we should add some creamy soft pink roses as well as the white. 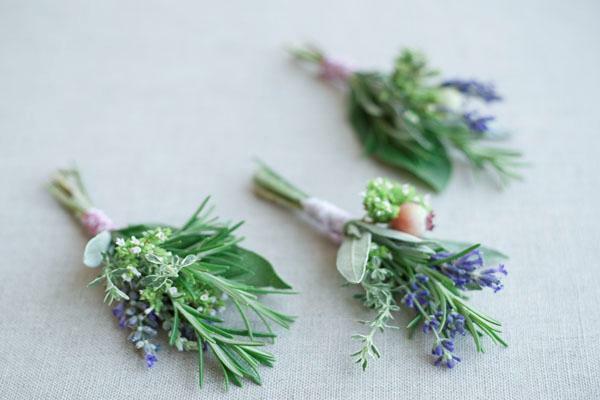 We didn’t want flowers for the men’s buttonholes, so we’ve gone with “white tetra nuts, rosemary and lavender“.